Managing Director Cyril Abiteboul ensures all aspects of Renault Sport Racing are structured, resourced and working to their optimum to deliver on their performance potential. Additionally, he sets the commercial, marketing and communication targets to ensure Groupe Renault takes full advantage of its Formula 1 activities. Cyril knows the Anglo-French team and Renault inside out. 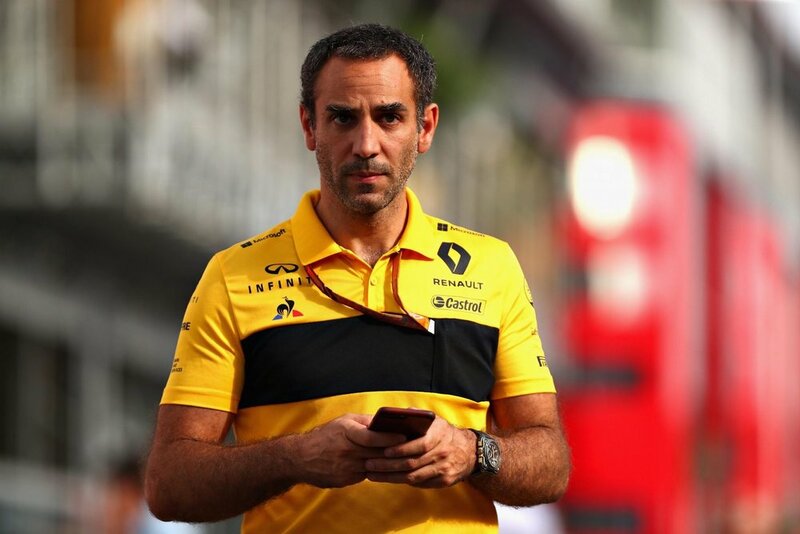 After graduating from the Institut National Polytechnique de Grenoble, he joined Renault in 2001 and worked in various positions at the company HQ in France and also at the F1 team in Enstone. His commercial acumen saw him appointed Development Director of the Renault F1 Team in 2007, looking after commercial matters, partners and sponsor acquisition. He became Executive Director in 2010 before moving back to Viry in 2011 when Renault re-centred its F1 activities around engine supply. As Deputy Managing Director, Cyril oversaw all contractual relations, marketing and communication activities with partner teams and created a solid platform for Renault as it re-established itself in its new guise. Cyril’s success in the role led to him being head-hunted by the Caterham F1 Team at the end of 2012 to become youngest F1 team principal ever. After leading Caterham Group’s restructuring, he re-joined Renault in July 2014 to become Managing Director of Renault Sport F1 and spear-headed successfully the analysis of reacquiring a team for the Renault brand to continue its long F1 tradition.